Shellac and Gelish are billed as the ultimate long-lasting manicure - Now you can say goodbye to chips, smudges and dry time and say hello to Shellac and Gelish Hybrid Nail Colour. The beauty world is raving about this new revolutionary product which is changing the way women wear nail polish. 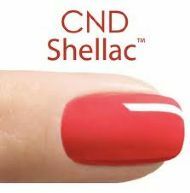 Shellac and Gelish combine the resilient finish of a gel nail overlay with the ease of paint-on colour. Shellac and Gelish are applied like polish, wears flawlessly giving you 14 days giving of high gloss shine and shimmer. When its time to remove your Shellac or Gelish nails - it is an easy 10 minute soak which does not damage the nail itself.